Last week, Delta Air Lines reported another record quarterly profit. Like its peers, the airline giant has faced significant unit revenue pressure for the past year or so, but lower fuel costs have more than made up for the revenue declines. Delta’s management recognizes that fuel prices won’t keep falling forever. To avoid a drop-off in earnings, Delta needs to keep a lid on its non-fuel costs while getting unit revenue to grow again. On the company’s recent earnings call, Delta executives spent some time talking about how they plan to achieve these goals. “While we are not there yet, we understand the importance of getting back to positive RASM,” or revenue per available seat mile, says Delta Air Lines’ incoming president, Glen Hauenstein. Over the past year, factors such as low oil prices and the strong dollar have exerted continuous downward pressure on airfares. As a result, Delta has had to delay its estimate for returning to unit revenue growth more than once. Most recently, Delta has been dealing with overcapacity in the trans-Atlantic market. However, the company sees better trends elsewhere. Foreign currency headwinds are starting to abate in Japan, a key market for Delta. For the peak summer season, domestic fares for advance bookings are up year-over-year for the first time in many quarters. Thus, Delta appears to be on a good trajectory for getting unit revenue back to the flat line or modest growth later this year. 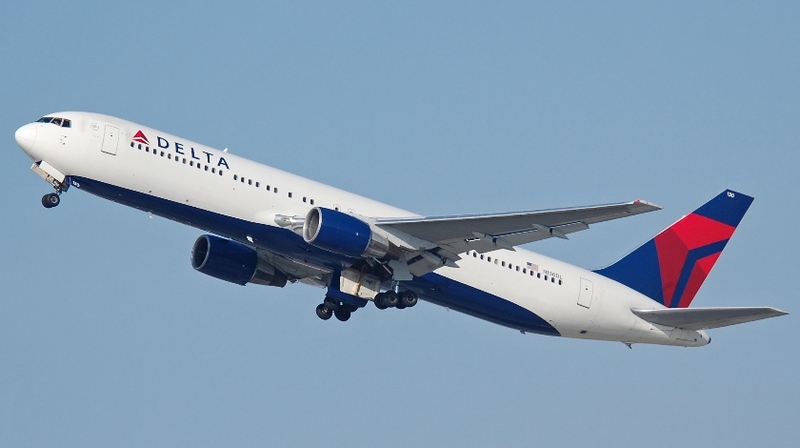 Furthermore, management suggested that Delta will probably cut capacity for the fall if unit revenue trends fail to improve as expected in the next few months. “We continue to see good performance with our branded fare initiatives,” Hauenstein says. One way that Delta has tried to offset the weak fare environment is by implementing “branded fares”: a structure featuring fares at various price points to appeal to different customers’ needs. At one end of the spectrum, Delta is targeting price-sensitive travelers with basic economy fares, which don’t allow advance seat assignments and can’t be changed or refunded. At the other end of the spectrum, Delta is offering its extra-legroom Comfort+ seats as a separate fare for flights in the U.S. and Canada beginning on May 16. That will make it much easier to book these premium seats. Delta has also focused on boosting sales of domestic first-class seats, rather than giving them away as free upgrades. Reliability has been another key focus area for Delta in the past few years. The company has dramatically reduced the number of flights it has to cancel. Completing 99% of all scheduled flights used to be seen as successful, but nowadays Delta doesn’t cancel any flights on a typical day. It also is routinely near the top of the industry in on-time performance. Operating reliably has both revenue and cost benefits. On the revenue side, it has allowed Delta to gain market share among business travelers, who need to be confident that they will get to their destination on time. On the cost side, it reduces scheduling snafus and avoids the costs of rebooking passengers whose flights have been canceled. “For the second quarter, we expect non-fuel CASM, including profit sharing, to increase roughly 2% as our productivity and other cost initiatives help to offset higher wages and product and service investments,” says CFO Paul Jacobson. Delta’s non-fuel unit costs jumped 4.5% last quarter, as Delta has boosted wages for most of its non-unionized workers and its profit-sharing accrual doubled. However, the company is working hard to offset the pay increases through improved productivity and other cost cuts. One way Delta is improving productivity is by adding seats to roughly 200 domestic aircraft. These aircraft modifications have proceeded at a rapid pace since last fall. Delta has also cut its maintenance costs by improving work processes, identifying part-out opportunities (i.e., reusing parts from retired planes), and reducing the size of its fleet. As a result, it expects much lower unit cost growth for the rest of the year. “The focus we’re in the midst of currently is the domestic fleet renewal over the next five years,” says Bastian. Last week, The Wall Street Journal reported that Delta was close to signing a contract to buy at least 75 CSeries jets from Bombardier. These jets would help replace more than 100 aging MD-88s that Delta uses on shorter-range flights. Incoming Delta CEO Ed Bastian didn’t confirm this report, but he did suggest that Delta plans to nail down an order within the next month. If Delta does go with the CSeries, it’s notable that Bombardier markets the CS100 and CS300 as having dual-class capacities of 108 and 130, respectively. Delta would probably squeeze in a few more seats, but even the larger CS300 would have significantly fewer seats than Delta’s MD-88s, which each seat 149 passengers. Down-gauging to a slightly smaller aircraft could help Delta bolster its unit revenue over the next few years. And despite its smaller size, the CSeries would still be a huge improvement over the MD-88 in terms of fuel burn and unit costs.